NEW YORK - According to Caribbean Journal, the New York City-based air carrier JetBlue Airways is expanding its service to the Dutch Caribbean island of St. Maarten. The carrier will be adding a second daily roundtrip flight between John F Kennedy Airport and St Maarten’s Princess Juliana over the Christmas peak and on the Saturdays before and after Thanksgiving of this year. JetBlue also announced that it would be adding new seasonal service between Boston and St Maarten. Boston has been a growing Caribbean hub for JetBlue, with new routes added from Boston to the Caribbean in recent years including to Haiti and Barbados, among others. 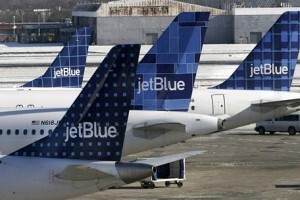 JetBlue first introduced the New York-St Maarten route last fall.